By means of difference UV-Vis spectra, the thermal denaturation of catalase has been studied in the presence of different surfactants: sodium perfluorooctanoate, sodium octanoate and sodium dodecanoate. These results indicate that hydrogenated surfactants play two opposite roles in the folding and stability of catalase, they act as a structure stabiliser at a low molar concentrations (enhancing T m) and as a destabilizer at a higher concentrations (diminishing T m). Meanwhile sodium perfluorooctanoate enhances T m in the whole concentration range. 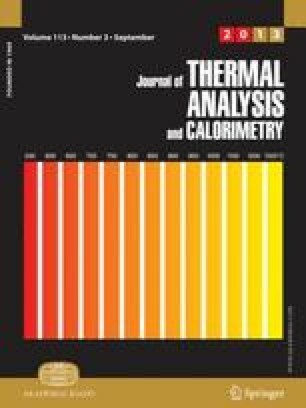 An approach for the determination of the heat capacity, enthalpy and entropy has been made, finding that for the three studied surfactants, at all concentrations, the enthalpy term dominates the entropy term.